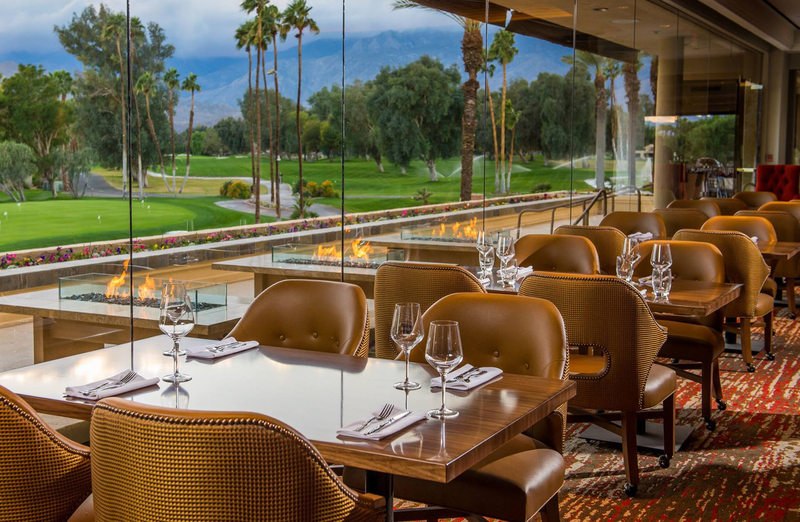 The reinvention of Mission Hills Country Club was inspired by the majestic Southern California desert landscape—borrowing the natural colors, textures and hues that evolve with each sunrise and sunset over the Santa Rosa Mountains of Coachella Valley. Those hues, in turn, dictated many of Delawie’s choices for the designs materiality, with a palette of earth tones interspersed with moments of reds and golds. 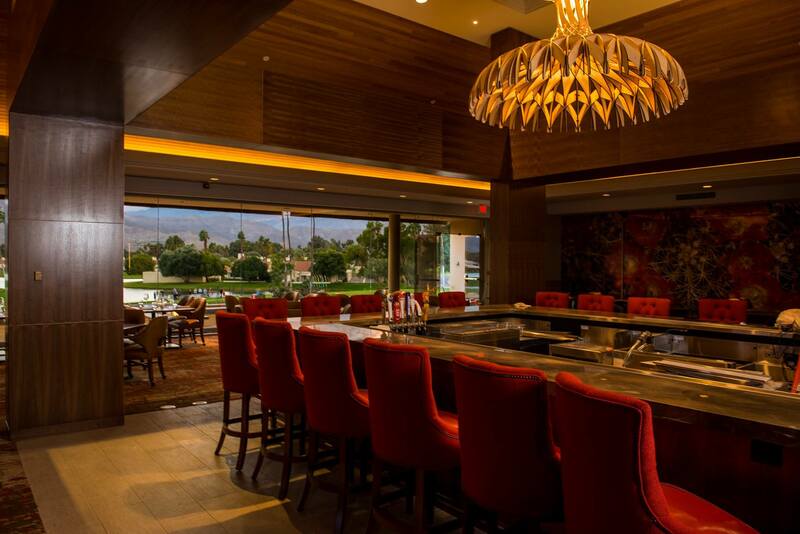 The stone flooring conjures a sense of place, mirroring the Valley’s granite and sands that are celebrated with each morning’s early light. 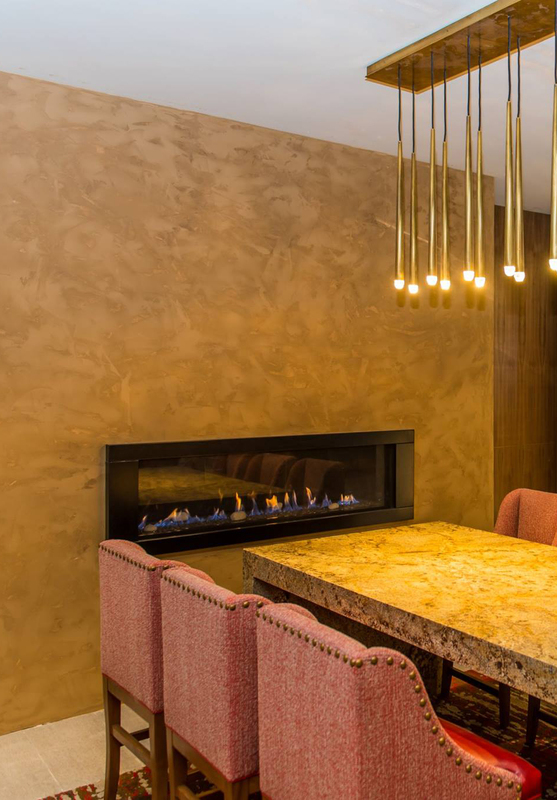 The walnut walls are textural, selected as a nod to the wind-driven sand striations of the surrounding landscape. The new bar design anchors the room and has an intricate, antique brass screen behind the bar with chic shelving on either side. 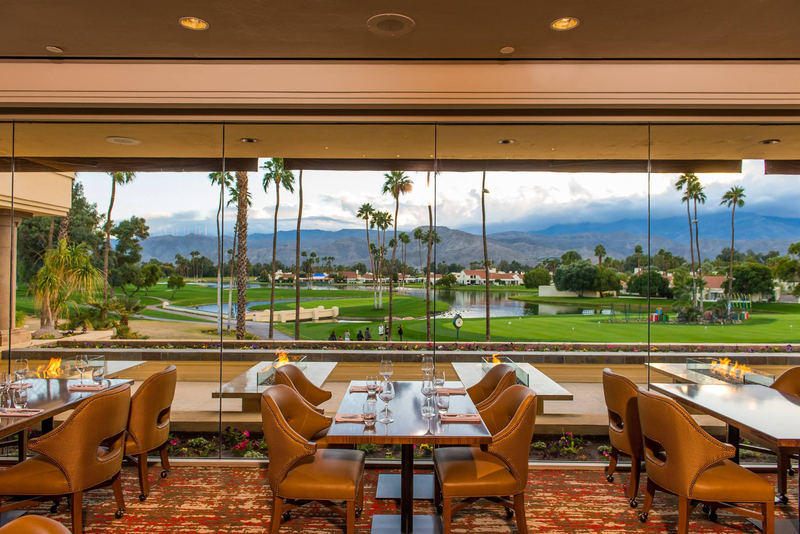 The bar’s granite tone is that of the sunset at dusk, as seen reflecting off of the Club’s mountainous backdrop. 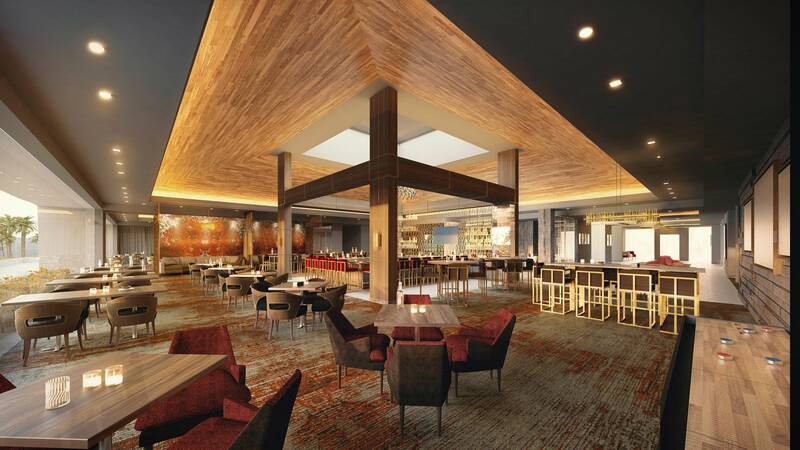 The large 72” diameter chandelier is suspended above the bar (designed by Bover Lighting based in Barcelona, Spain), and is comprised of interlocking natural wood. The chandelier’s light bounces softly around the soffit, projecting an image reminiscent of an Epiphyllum cactus flower. 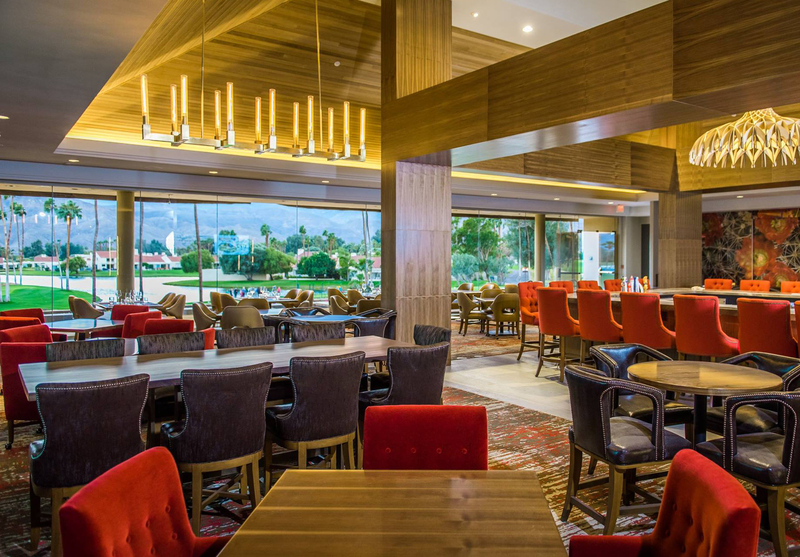 The Clubs Amenities include: Lobby, Men’s Locker Rooms, Fireplace Lounge, Private Dining Room, Bar, Casual Dining, Upscale dining and Banquet Facilities.